Jackson, Miss. 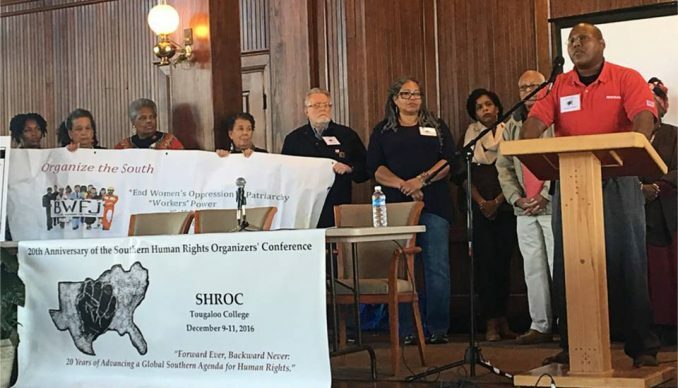 – The Southern Human Rights Organizing Conference celebrated 20 years of convergences Dec. 9-11 in Jackson, Miss. Organized by Jaribu Hill from the Mississippi Workers Center for Human Rights, and held at Tougaloo College, a historically Black college rooted in the Civil Rights Movement, this SHROC was dedicated to “Local Human Rights and Social Justice Activists and Martyrs” such as Mayor Chokwe Lumumba, Fannie Lou Hamer, Medgar Evers, Annie Devine, Nubia Lumumba, Victoria Gray Adams, Dr. L.C. Dorsey and other freedom fighters from the South, and those from beyond such as Fidel Castro. “In 2016, SHROC continues to be uncompromising in its values and its commitment in uplifting a radical, multi-generational human rights agenda that is rooted in anti-capitalism, anti-colonialism, anti-imperialism and anti-white supremacy,” stated Atlanta-based conference organizing committee member, Yolande Tomlinson. 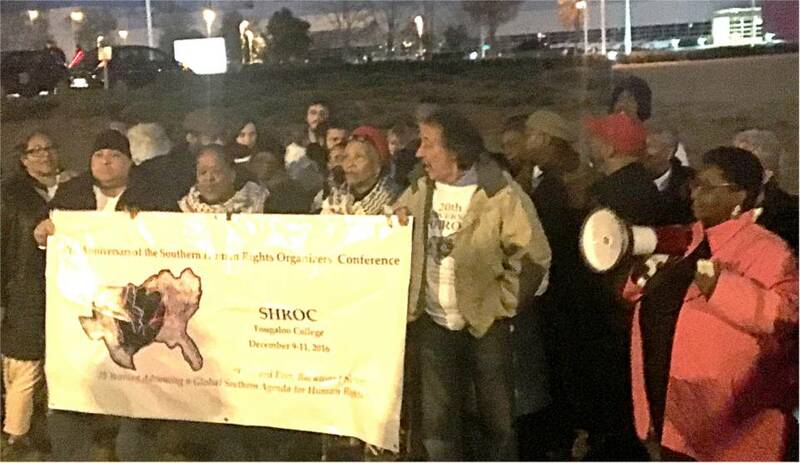 Over the last 20 years, SHROC has helped Southern organizers to understand their work within an international human rights framework. Participants were reminded of the role that the Black freedom struggle has played to elevate all struggles for social and economic justice within the United States. The conference has always been a place where Southern labor organizers come together to share their strategies and support each other’s campaigns. The Southern Workers Assembly hosted a meeting to continue to build a Southernwide social movement to organize labor in the South, along with supporting a proposal to build a National Assembly for Black Liberation. The conference raised the issues of supporting the freedom of political prisoners and going to the United Nations to demand reparations for descendants of slaves. Standing Rock and other important struggles were given attention. A main feature of the conference was support for 5,200 autoworkers at Nisson in Canton, Miss. One of the main features of the conference was support for 5,200 autoworkers at a plant in Canton, Miss., who manufacture Nissan cars. A large majority of the workers are Black. 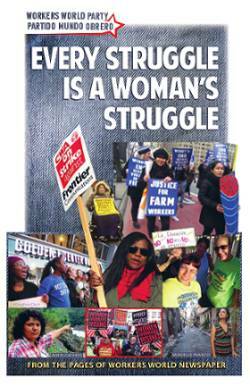 There has been a 13-year effort to organize a union at this plant. Over 40 percent of the workers there are part-time workers, making it very difficult to organize. The workers have reported two deaths in recent years. They are still fighting for justice. The campaign is picking up steam after support from 35 French and European policymakers, who signed a letter asking Nissan to adopt a position of neutrality toward union organizing efforts in Canton. The French government owns 20 percent of shares of Renault-Nissan, which in turn is the largest shareholder of Nissan. In June, Christian Hutin, a member of the French National Assembly, visited Mississippi on a fact-finding mission, but Renault-Nissan declined to meet with him. The conference held a solidarity rally Dec. 10 in front of the plant where Nissan workers Morris Mock and Ernest Whitfield reported that Nissan has received $1.3 billion in tax incentives to operate the plant in Mississippi — money that could have gone to schools, hospitals, levees, roads and other needs, not corporate profits. 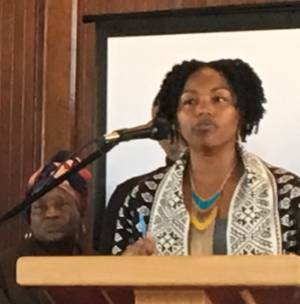 Members of Cooperation Jackson and the Malcolm X Grassroots Movement shared throughout the conference the lessons they are learning in building self-determined cooperative economic systems, such as the recently established Freedom Farms. Sunday panels focused on “Building a Safe Black Society for a Black Future” and “Pathways to Liberation: Revolution, Reform and Movement Building.” Featured on the latter panel were U.S. vice presidential candidates Lamont Lilly from Workers World Party and Ajamu Baraka from the Green Party. The conference also hosted many international guests such as Ambassador Jesús “Chucho” García of Venezuela (U.S. Consulate) who spoke on the historical links between Black Liberation, South America and the Caribbean, especially Haiti. Also present was “Maria,” from the Donbass region in Ukraine, who talked about the U.S. role in violating human rights there, contrary to media lies. Charo Mina-Rojas, from the Black Communities’ Process in Colombia, was also present via Skype, speaking about the struggles in her country. Free the land! Organize the South!